The HY 2016 Global Programmatic Insights Report is our first study of both buying and selling behaviors in the InMobi exchange. 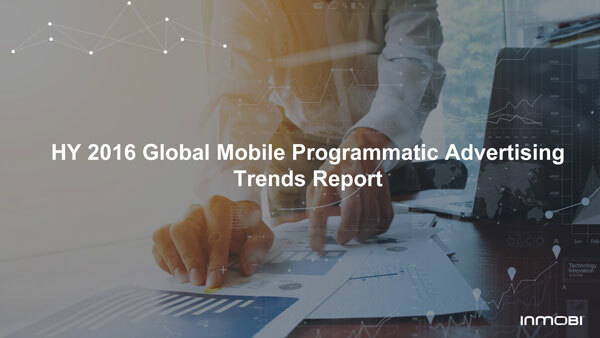 Our unique visibility into programmatic trends provides a comprehensive picture of the health and direction of the market, and we’re thrilled to be able to share it with you here. Download our latest report to learn more Fill out the form to the right for an instant download.